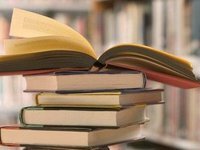 Russian President Vladimir Putin said that the Ukrainian Literature Library in Moscow must be preserved even amid the escalation of tensions between Russia and Ukraine. "Firstly, I will check information about the director of the library, I just have no idea what it's all about. But what we must be focused on, this is a library. It must not be lost in any circumstances," Putin said during the meeting of the Presidential council on culture and arts in response to the respective question asked by literary critic Alexander Arkhangelsky. "Ukrainians are the third largest titular nation in Russia: Russians are first, Tatars are second, Ukrainians are third, 3 million people". "To say nothing of the fact - and you know my position - that I consider Russians and Ukrainians as one nationality, fundamentally; maybe some would disagree - that's another story. Since yes, the Ukrainian culture, as well as Ukrainian literature, surely has a source of its own," Putin said.